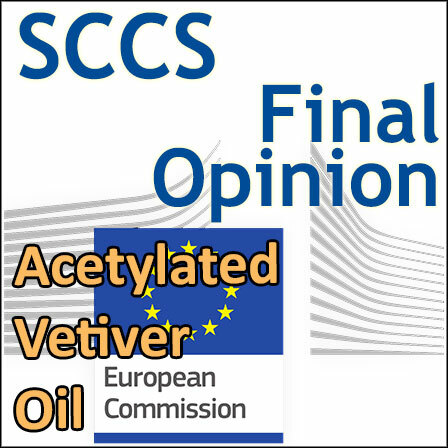 The SCCS adopted its Opinion on the safety of Acetylated Vetiver Oil ((Vetiveria zizanioides root extract acetylated). This Opinion has been subject to a commenting period of a minimum eight weeks after its initial publication (from 10 September until 14 November 2018). Comments received during this time were considered by the SCCS. For this Opinion, comments received resulted in the following main changes: sections 3.3.1.1. - 3.3.2.1 - 3.3.6.2. (SCCS comment), 3.3.2.2. (SCCS conclusion), 3.3.10, and 3.4.1. Changes in the discussion part and in the SCCS conclusions have been made accordingly.